When Arthur's long-lost half-sisters, princesses torn from their mother and their ancestral right by Arthur's brutal and unscrupulous father, arrive at court, chaos is unleashed in the form of Morgan le Fay, whose black enchantments destroy everything Guenevere holds dear, and threaten to separate the King and Queen forever. 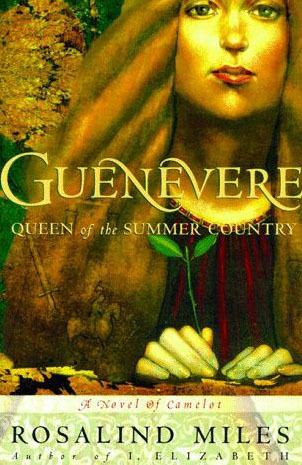 At the center of the story is always Guenevere, proud and powerful, yet vulnerable to the longings of her heart. 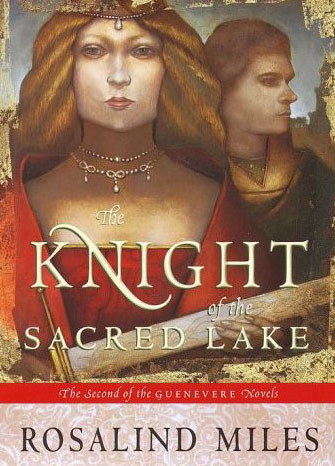 When the young French prince, Lancelot of the Lake, enters the scene, an otherworldly passion is ignited in Guenevere's heart, and they each must contend with the painful reality that they cannot fulfill their love without shattering the code of chivalry and the man they both love with all their hearts: Arthur. Yet Arthur is not without demons: a bleak shadow falls across Camelot and across the sacred Isle of Avalon as he allows Roman priests to encroach on the kingdom, bringing with them a violent new religion that threatens to destroy the ancient ways of the Mother. And even in the sanctity of the court, all is not well, as betrayals, jealousies and ancient blood feuds fester. The half-mad Druid, Merlin, plots furiously to ensure the supremacy of the Pendragon line at any cost; Morgan and Arthur's incestuous progeny, Mordred, menaces the increasingly fragile peace; and the assembly of the famous Round Table of knights stands vulnerable to Morgan's dark designs and to the irresistible power of the forbidden love shared by Guenevere and Lancelot. 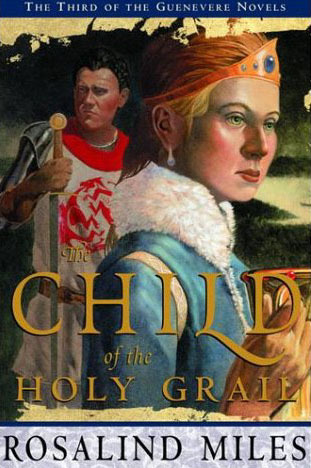 As the final, brilliant cycle of the Arthurian legend spins out, the Quest for the Grail and the fall of Camelot bring Guenevere to the brink of utter tragedy, where she ultimately may complete her destiny as the greatest Queen of the Isles, and find at last her heart's content. Guenevere, last in a line of proud queens elected to rule the fertile lands of the West, true owner of the legendary Round Table, and guardian of the Great Goddess herself, is a woman whose story has never been told. Long relegated to a passive role on the arm of King Arthur, Guenevere finally springs to life in this lavish retelling of one of the richest and most enduring epic tales of Western culture: the Arthurian legend. Rosalind Miles's bold, magical interpretation re-creates the stirring pageant of love, war, heartbreak, jealousy, revenge, and desire from Guenevere's perspective, capturing as never before her formidable power as a queen, and her full blooded passion as a woman. Rich in historical detail, the Guenevere Trilogy draws us into the inner life of a courageous and beautiful heroine, torn between the fires of her own heart and her devotion to her husband and her people. This guide is designed to help direct your reading, or that of your discussion group, of Rosalind Miles's new perspective on a woman you only thought you knew. When Guenevere, young Queen of the Summer Country, marries Arthur, King of the Middle Kingdom and heir to the Pendragon dynasty, their union creates the largest and most powerful kingdom ever known in the Isles. Yet their golden era of political harmony and courtly love is not destined to last; a gathering darkness forebodes the evil and revenge that will plague Arthur and Guenevere's reign.